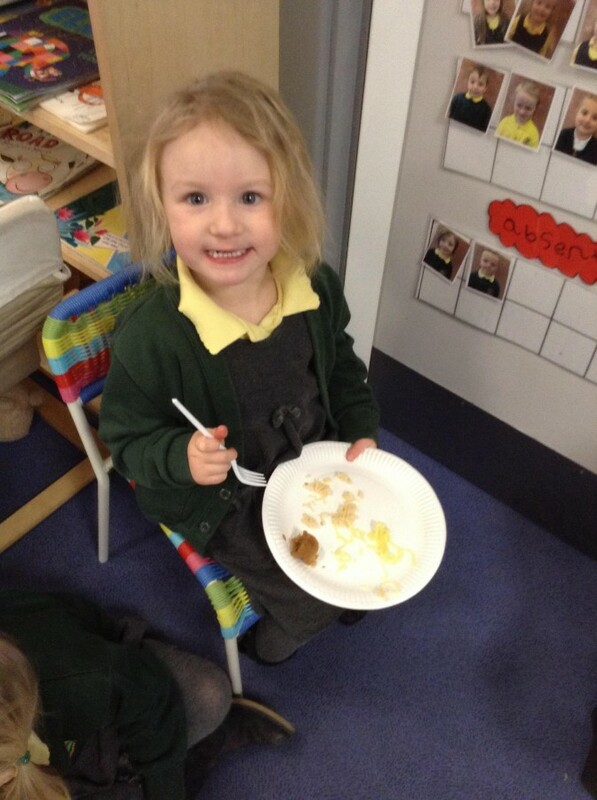 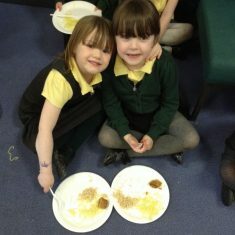 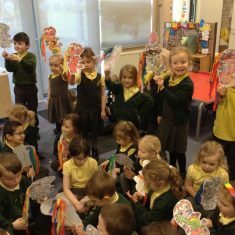 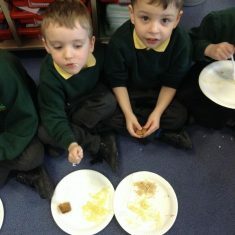 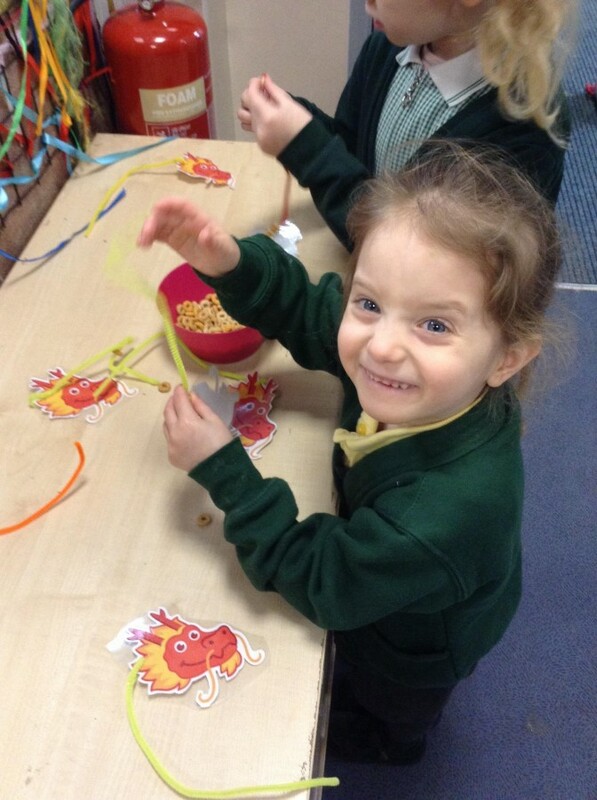 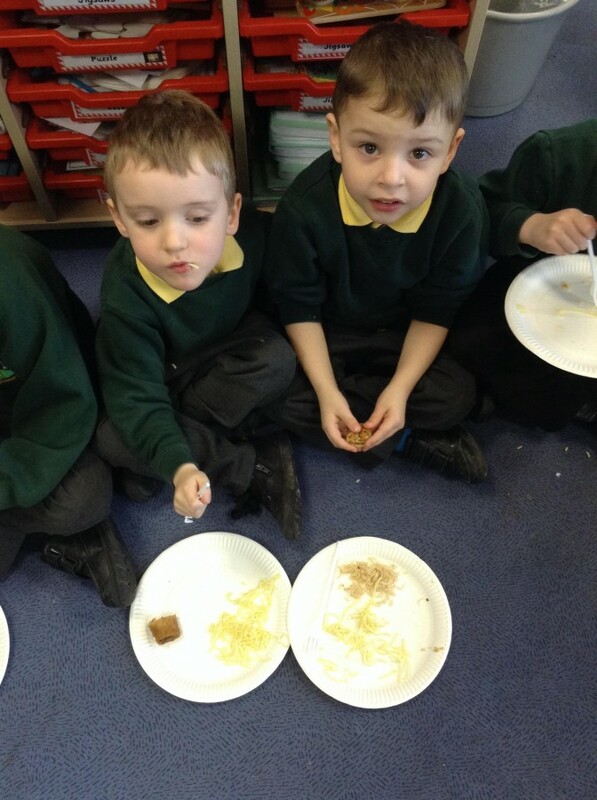 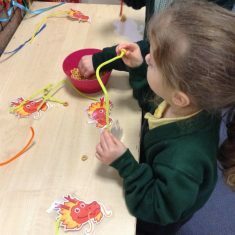 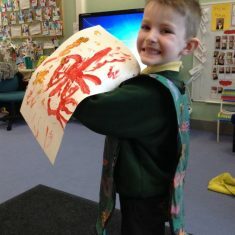 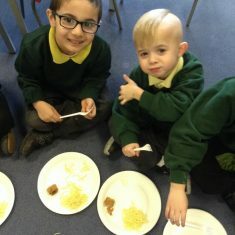 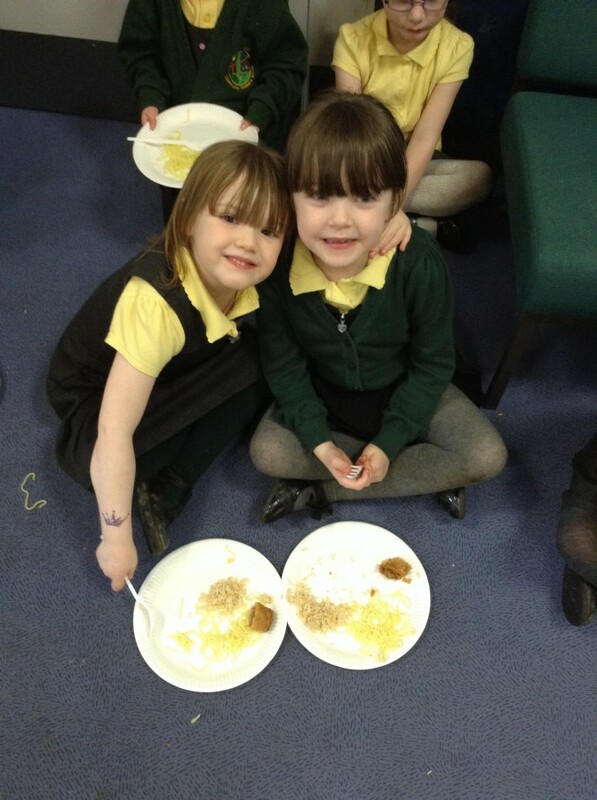 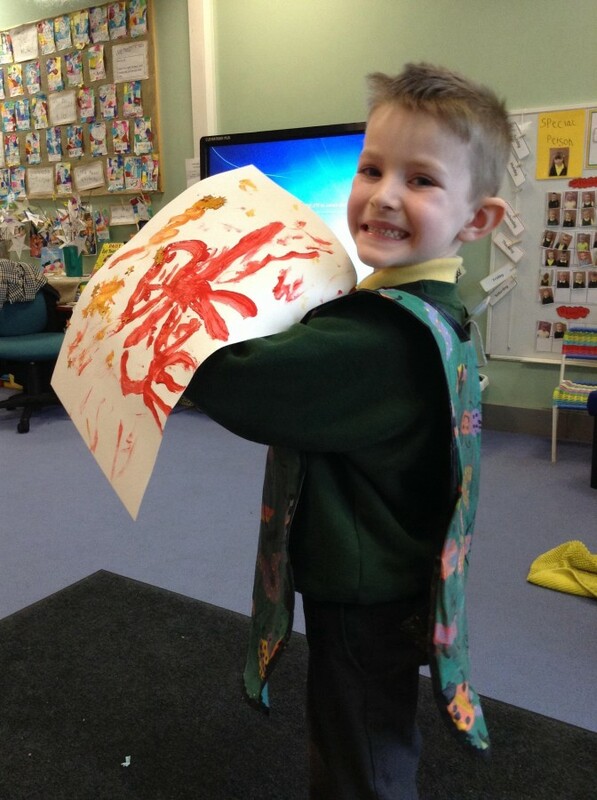 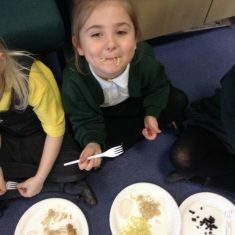 The children in Reception have been very busy learning all about Chinese New Year. 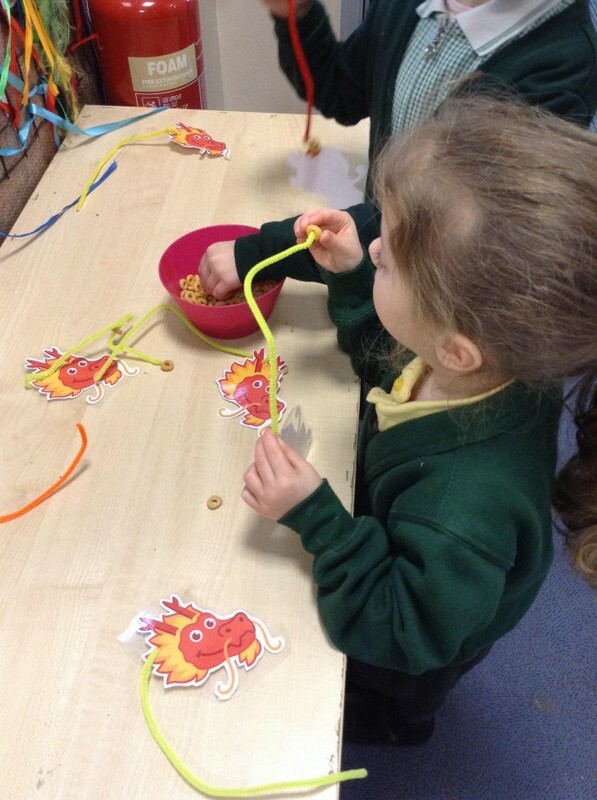 They tasted Chinese food, painted Chinese dragons and threaded Cheerios onto pipe cleaners to make the body of the dragon. 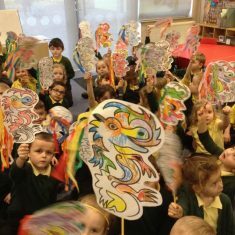 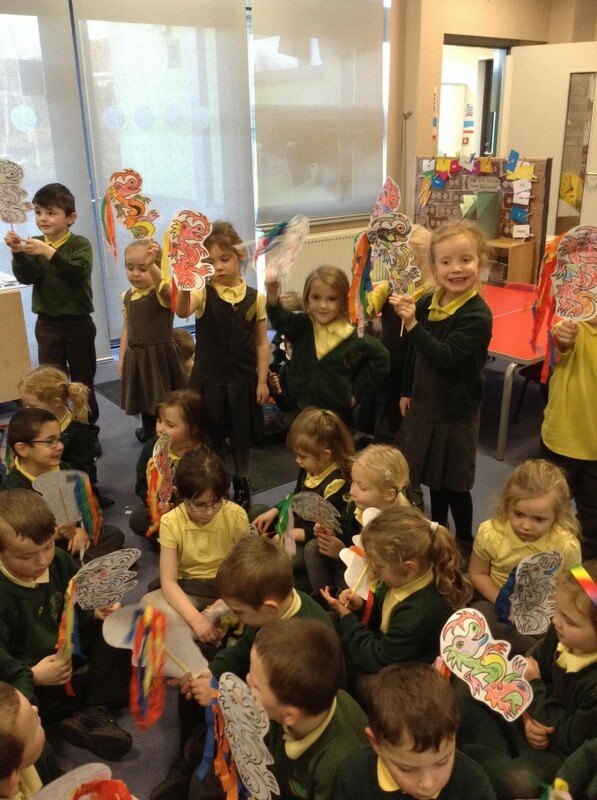 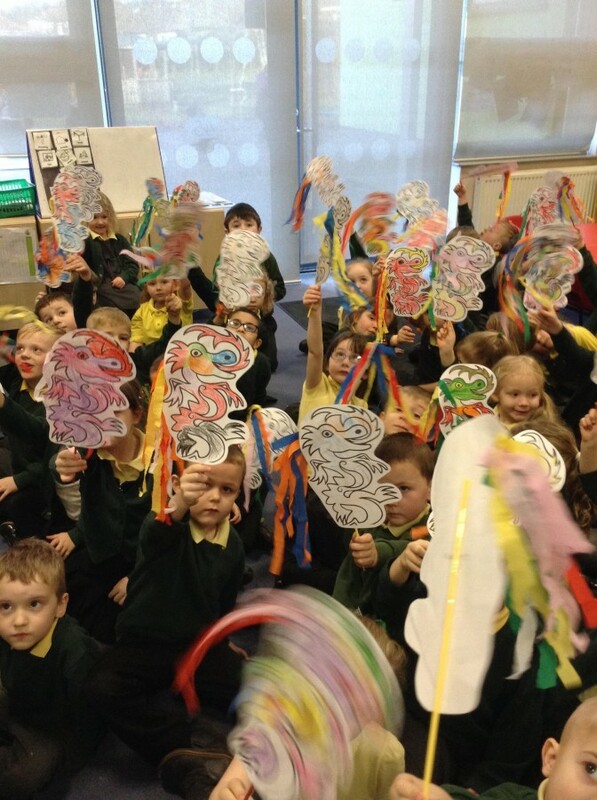 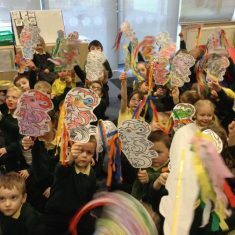 The boys and girls also made colourful Chinese dragon puppets and used them to dance to music. 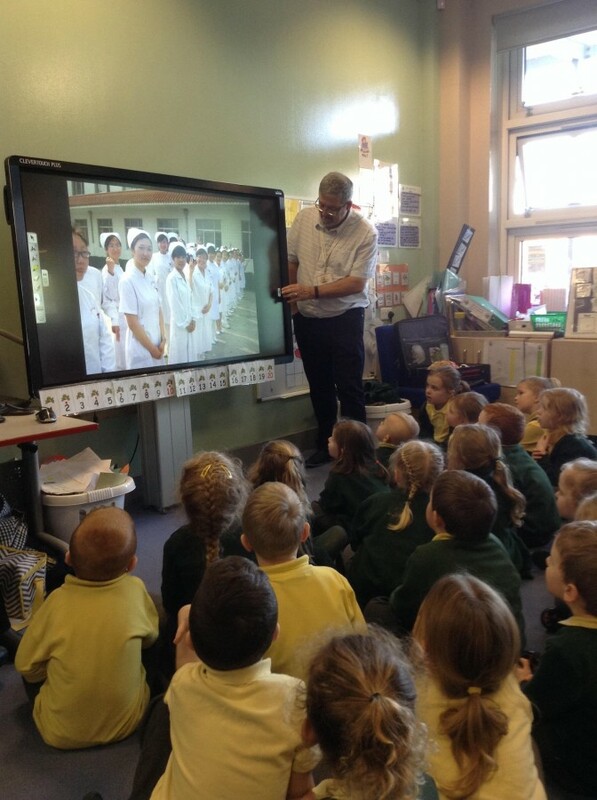 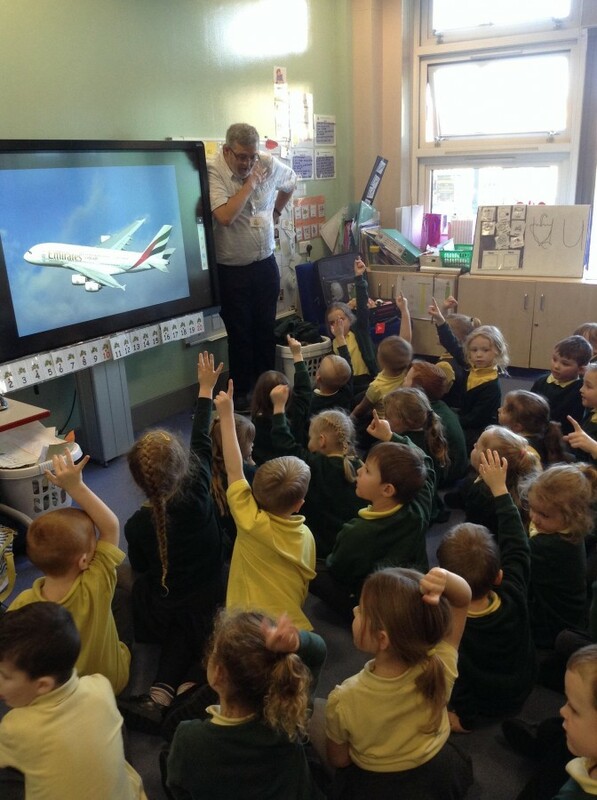 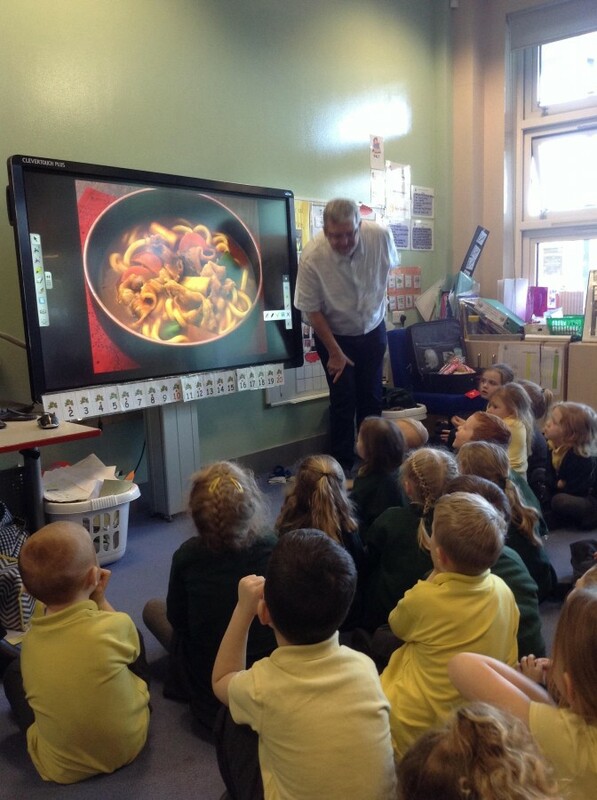 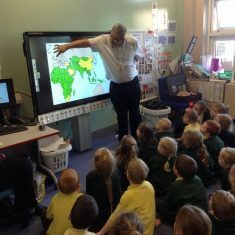 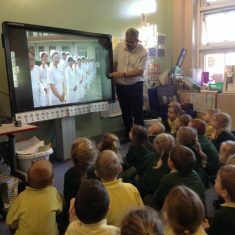 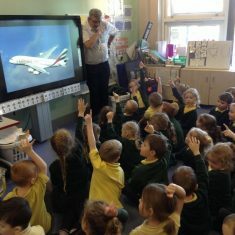 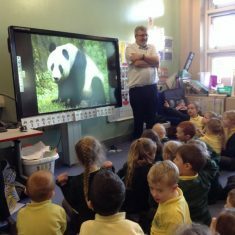 We were also very lucky to have Mr Walsham in to talk to us about his trip to China. 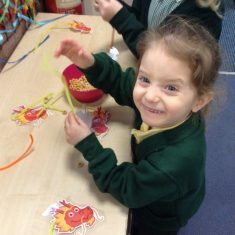 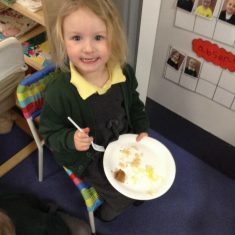 Isabella was very excited to tell me all about the things she had been doing at school for Chinese New Year. 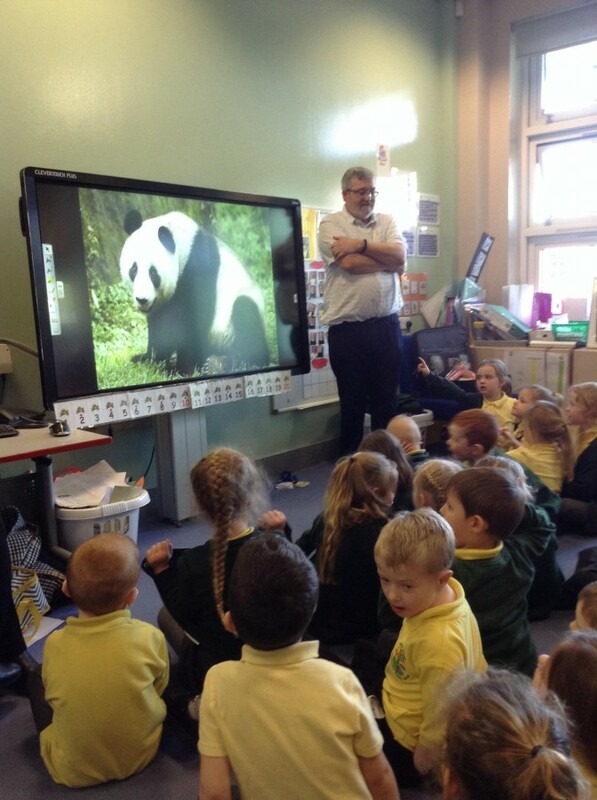 Thank you Mr Walsham for talking about your trip to China. 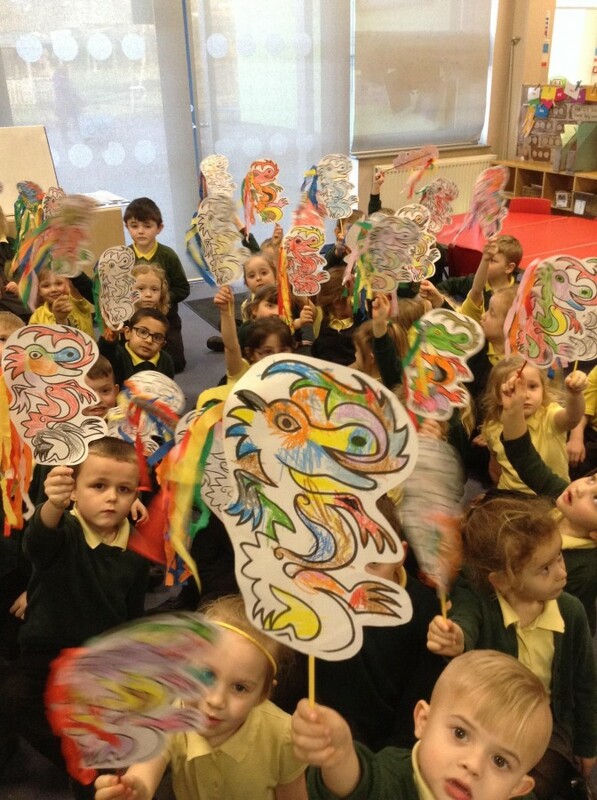 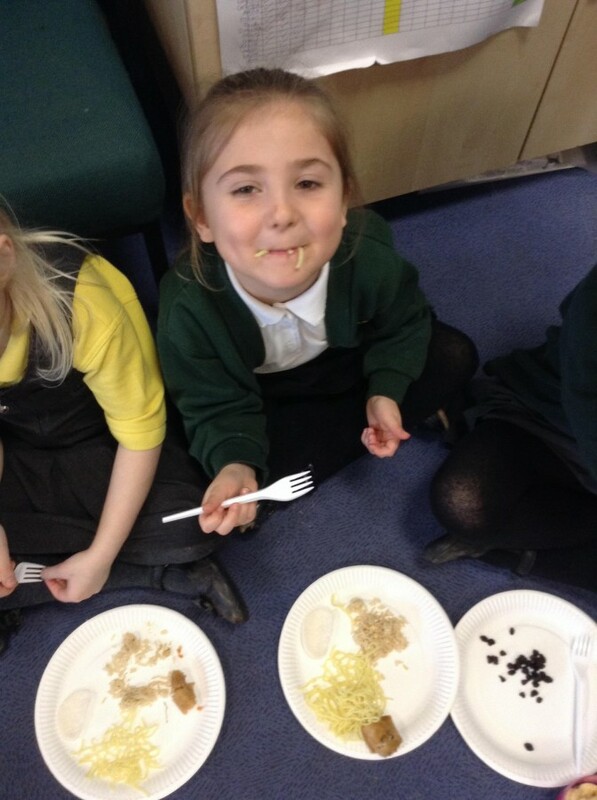 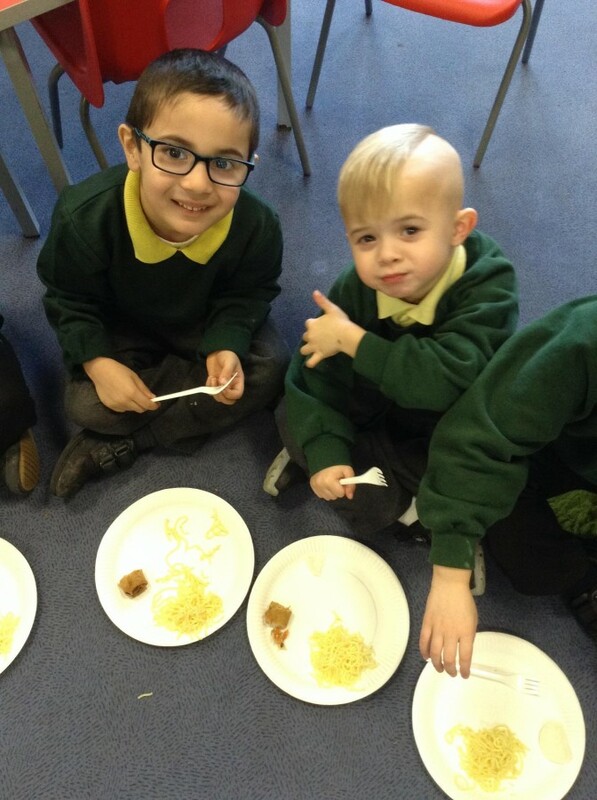 What a fantastic way to learn about Chinese New Year! 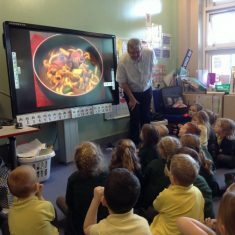 Big thank you to Mr Walsham for his talk with the children.